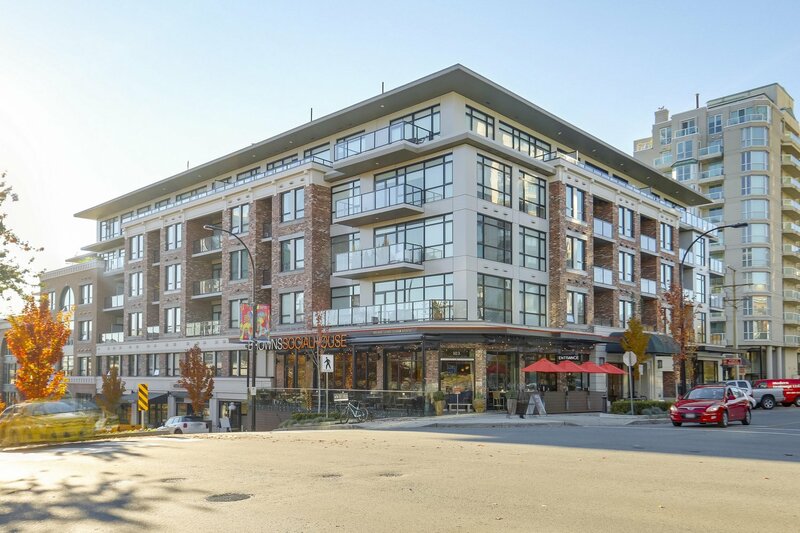 WALLACE & MCDOWELL - Easily one of Lower Lonsdale's most recognizable and desired buildings, this spacious 1,176 sq. 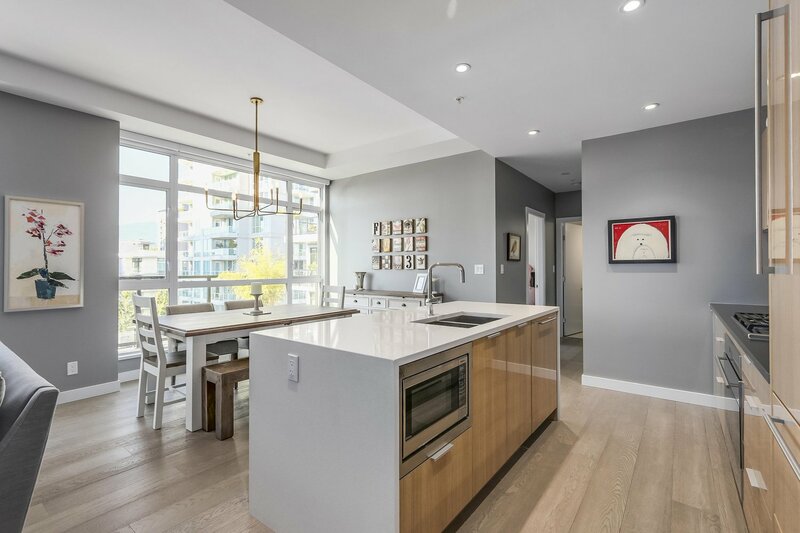 ft. two bedroom & den home was designed by Rositch Hemphill Architects and carries the balance of the 2-5-10 New Home Warranty. 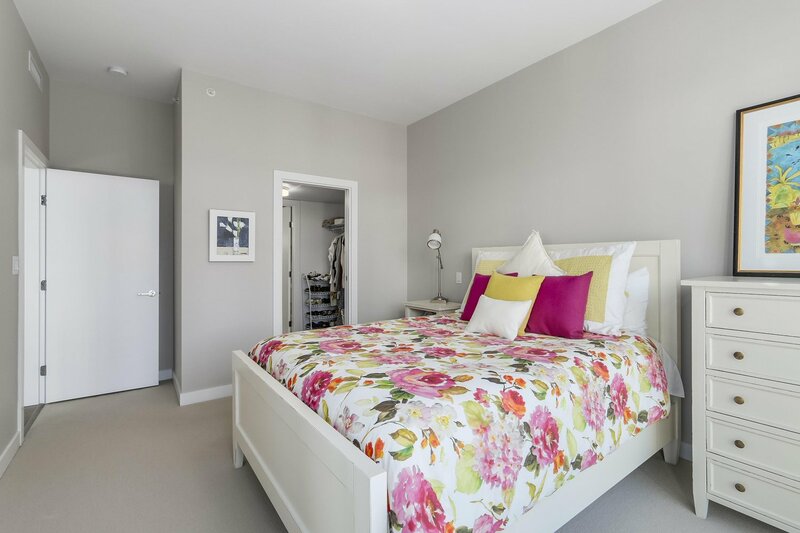 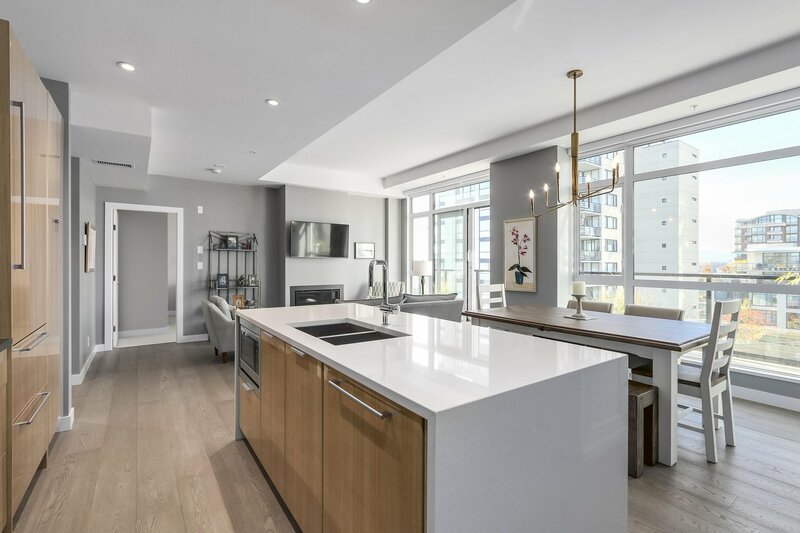 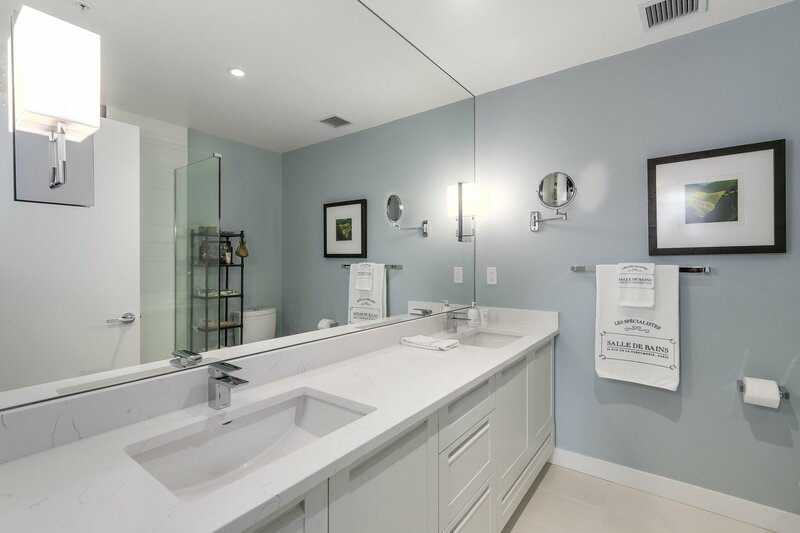 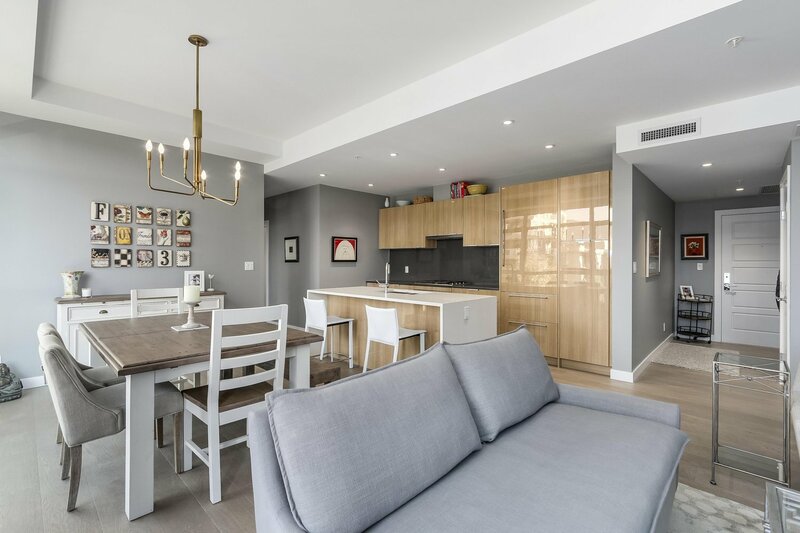 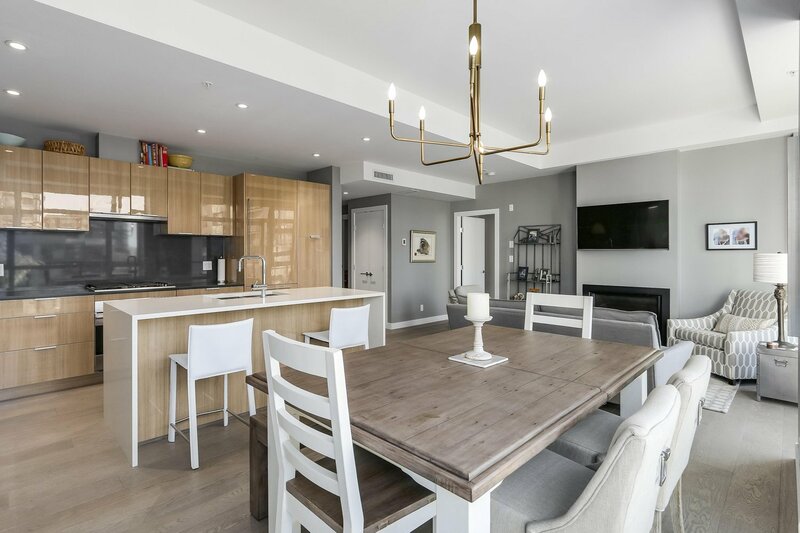 Rare Platinum Series suite features over-height ceilings, wide-plank engineered hardwood floors, a spacious 206 sq. 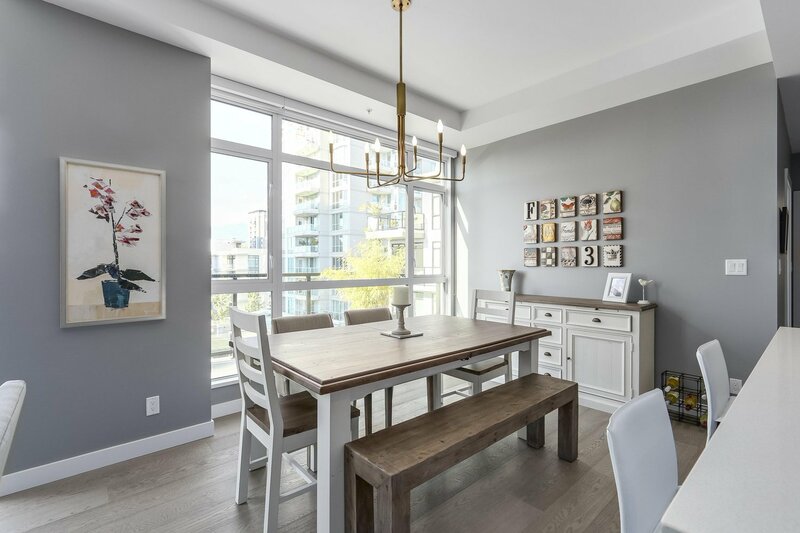 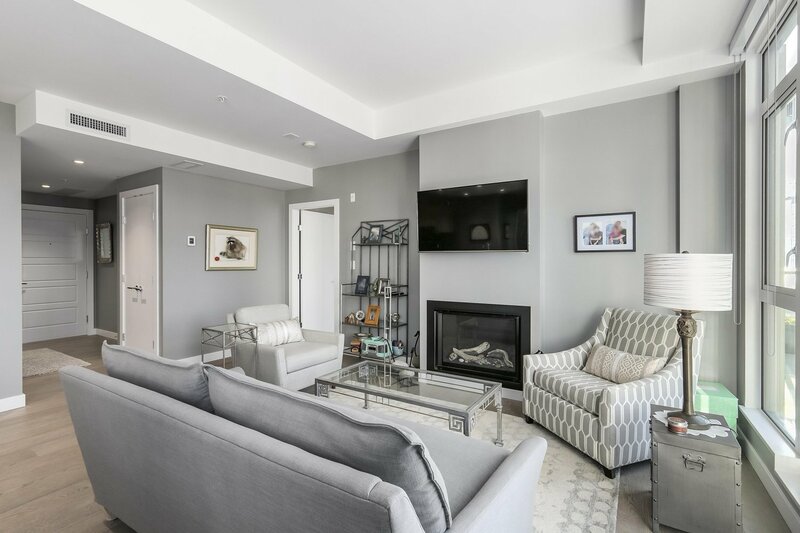 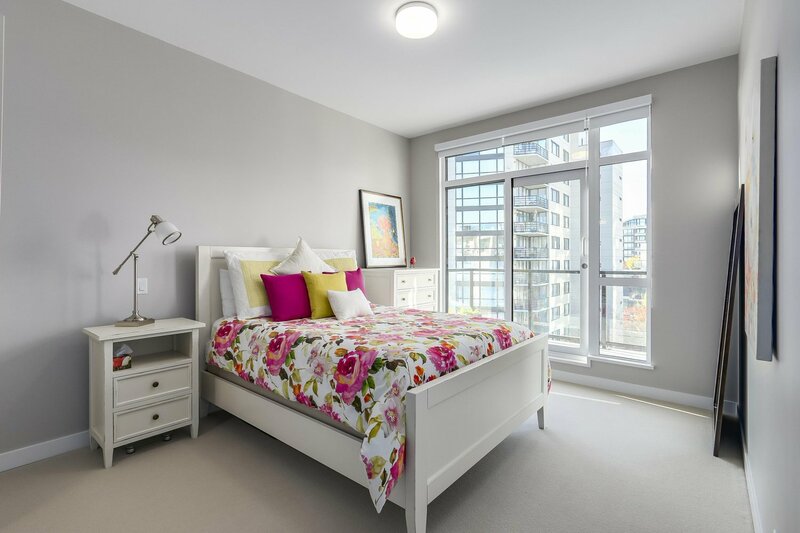 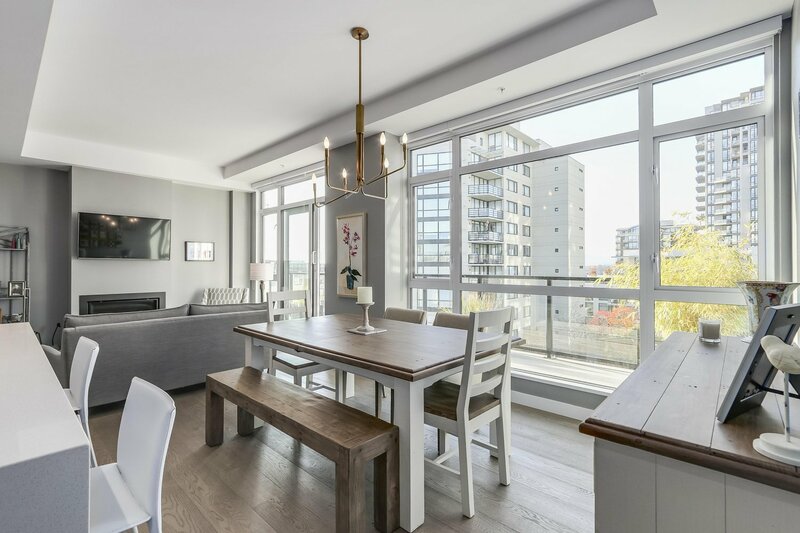 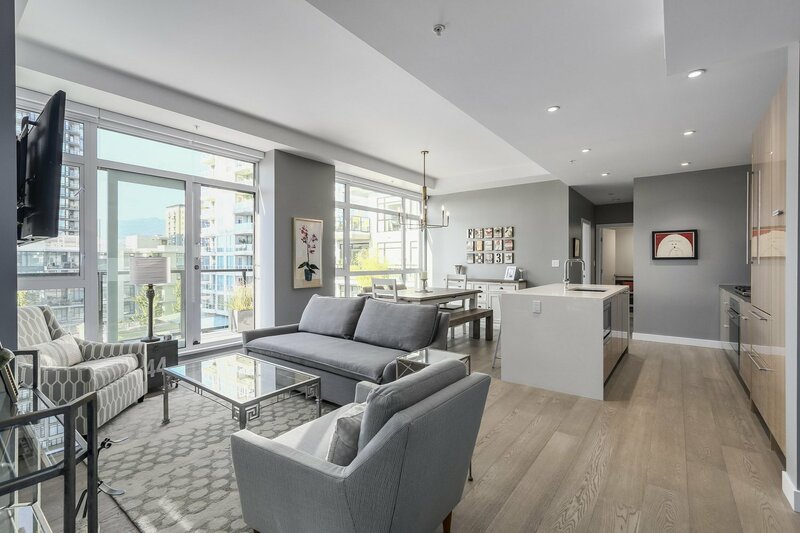 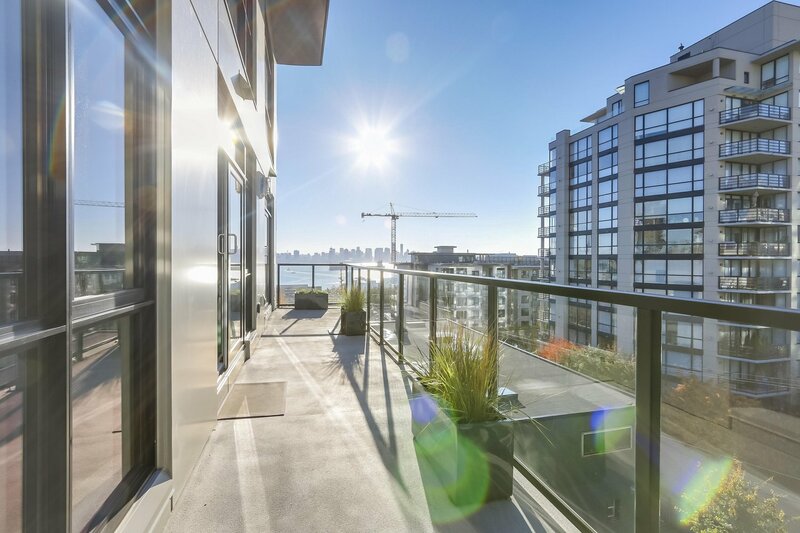 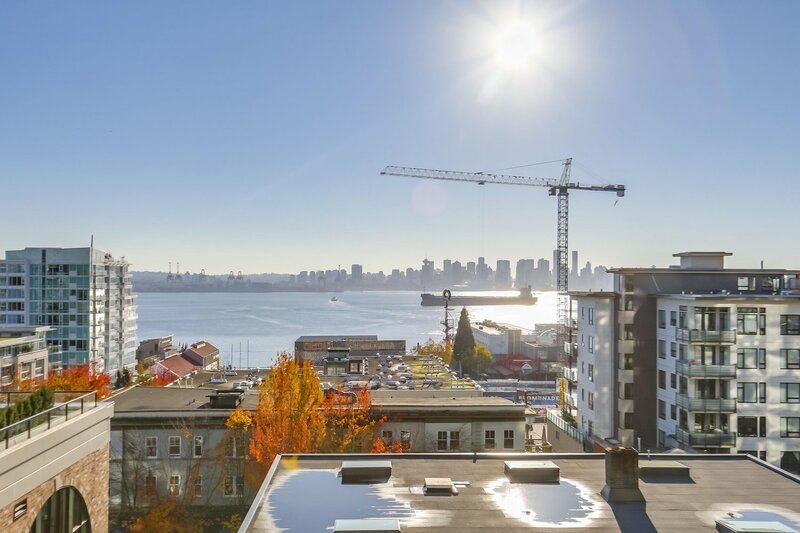 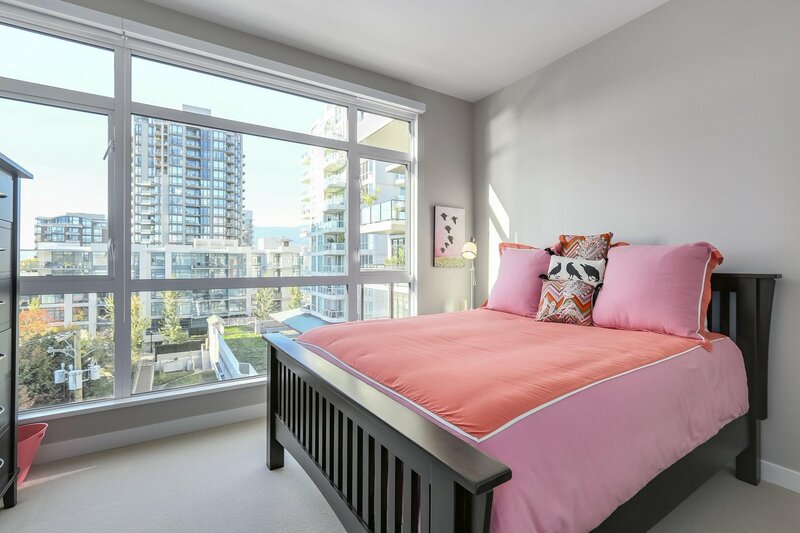 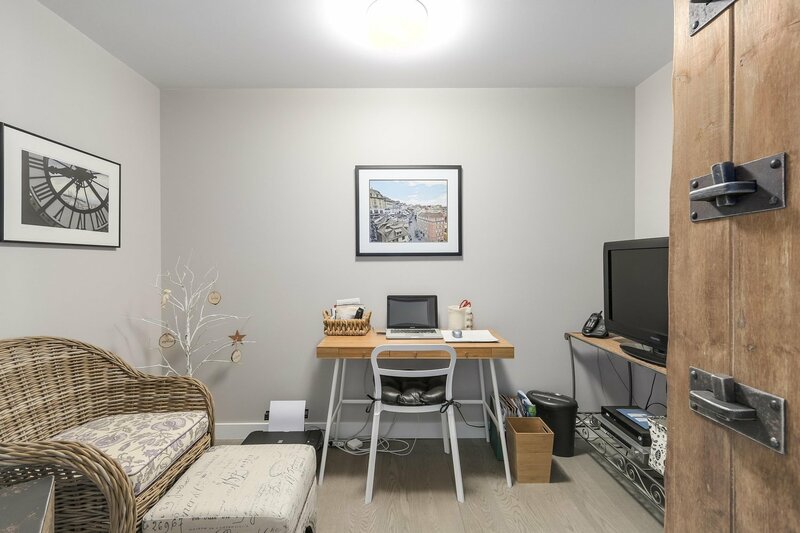 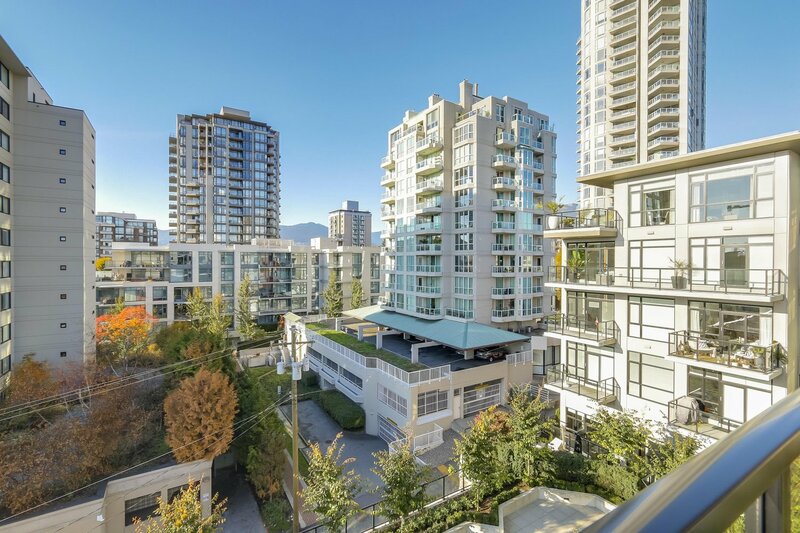 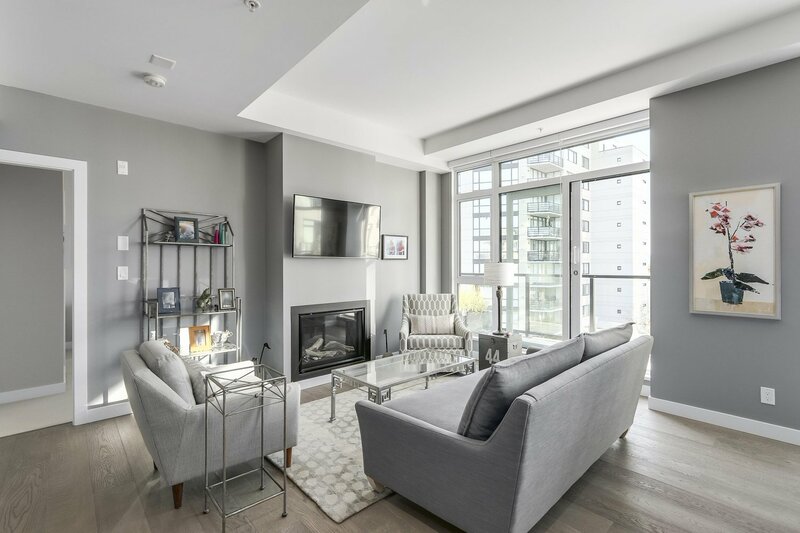 ft. balcony, views of Burrard Inlet and was upgraded with a gas fireplace, high-end 30" Sub-Zero and Wolf appliances, and integrated Bosch dishwasher. 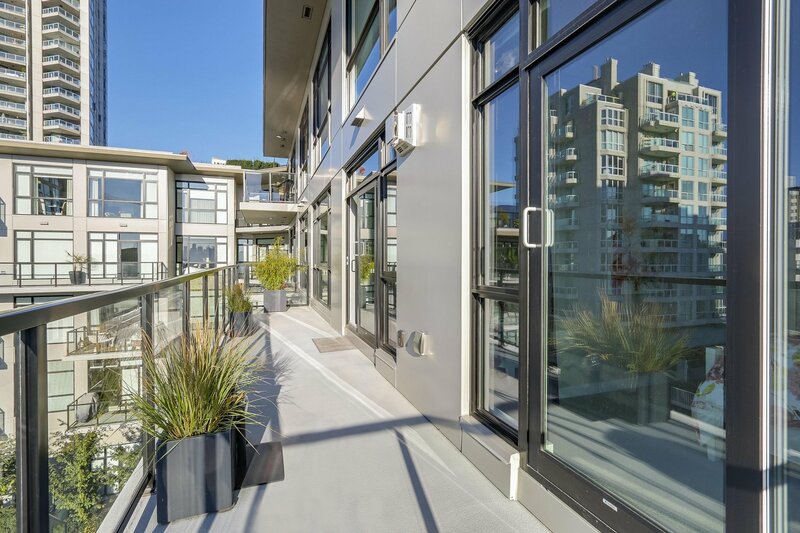 Extremely well constructed concrete building with 6" thick concrete party walls between homes to ensure the utmost privacy. 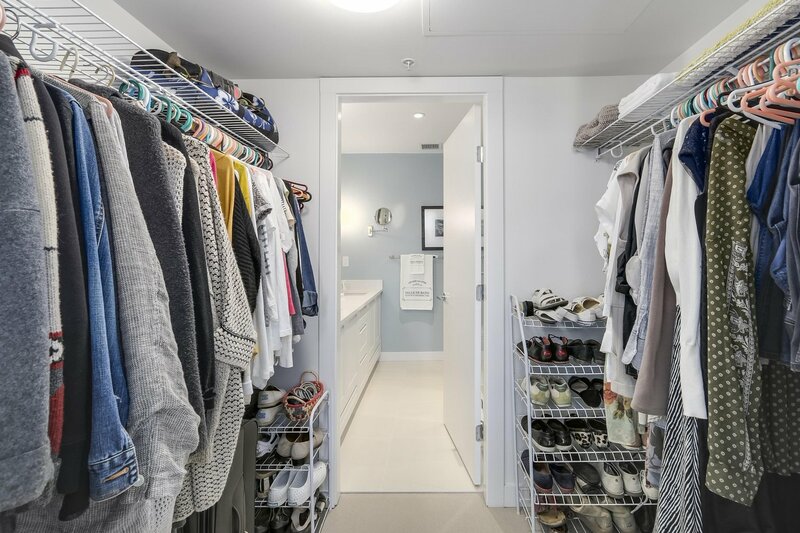 Two parking stalls and large storage locker included.